Looking for something FUN to do tonight? 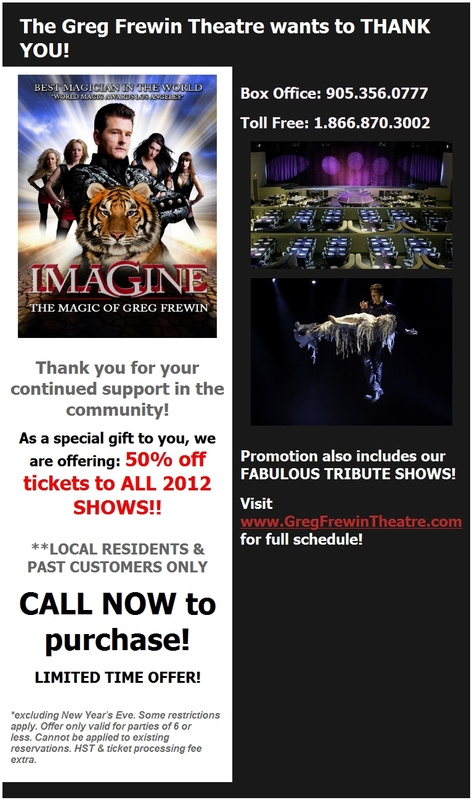 Last week I received an email newsletter from the Greg Frewin Theatre. To subscribe to the newsletter, fill out the form on the Greg Frewin Theatre Mailing List page. Leaving Marineland broke Phil Demers’ heart. But he had to do it. The 34-year-old animal trainer left Marineland after 12 years, and has gone public with allegations of deplorable water conditions and mistreatment of animals by his former employer. Demers said he made the decision to leave in May and then go public because the park’s owner, John Holer, wasn’t making changes he thought were necessary.